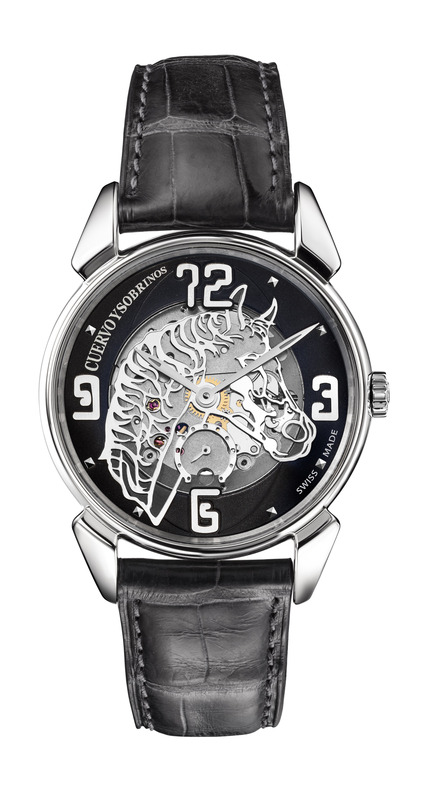 Presented for The Year of The Horse. 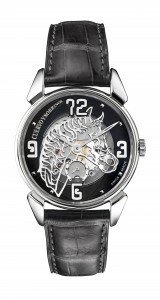 It is a stainless steel case, 40mm, manual wind movement, and features a glass back exhibition case. It is available on alligator leather strap with a folding buckle.